As mentioned, I’m trying to clear out a whole bunch of the junk in my flat, aside from my current Trademe listings, I’m going to be giving away freebies. Having a lot of gear requires a place to stick it. 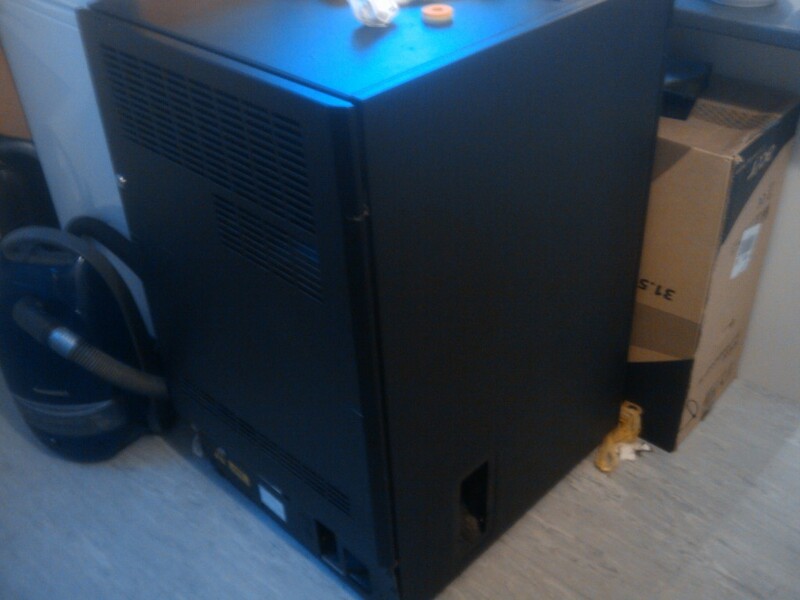 I currently have 2x 42U racks at work and 2x racks at home – a 30-something (no doors) and a 20-something (with doors). 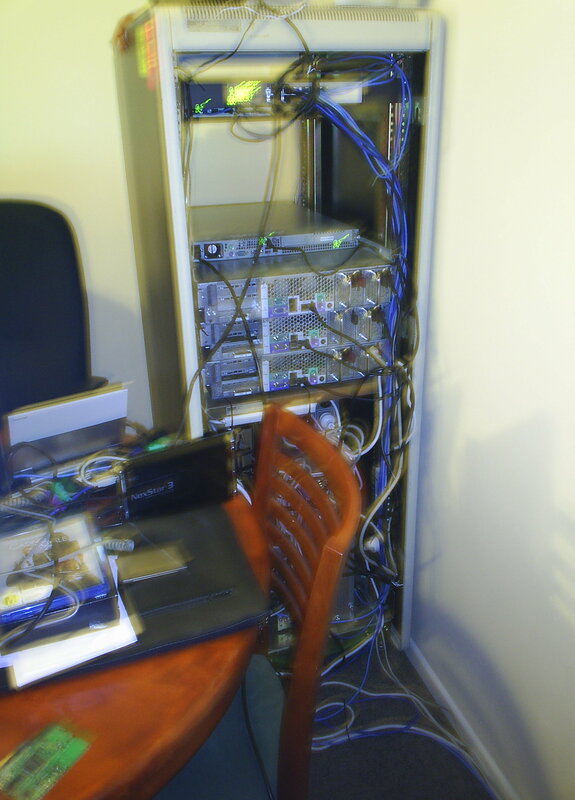 I need to get rid of the home racks as they are of limited use for me, as they are unfortunately only round hole, making them incompatible with server rackmount rails. The deal is they’re 100% free. But you have to pick them up which is going to require a trailer/ute/truck/asguardbeam thanks to the size – having said that, I *did* manage to just fit the smaller rack into a Toyota 1996 Corolla’s hatchback boot with the seat down. 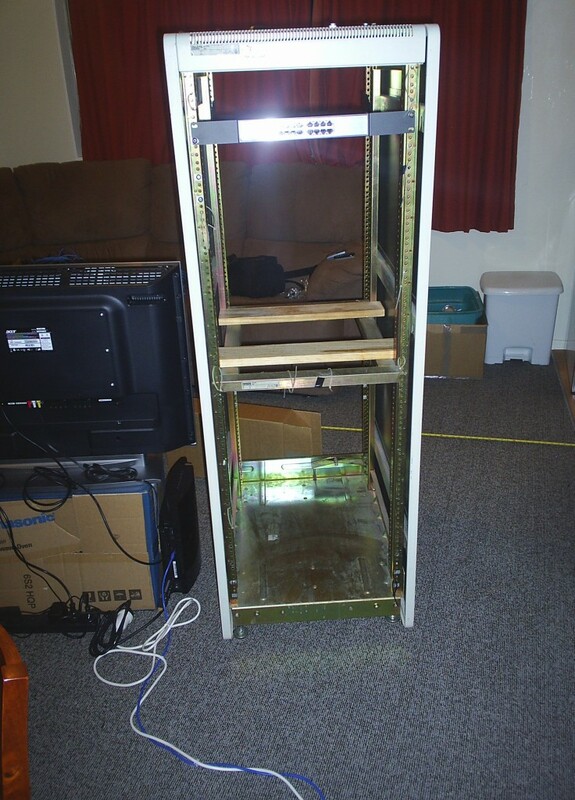 This is the 20-something RU cabinet with doors on the front and rear, with a couple bad interior shelves and holes at the bottom for cables to go in/out. 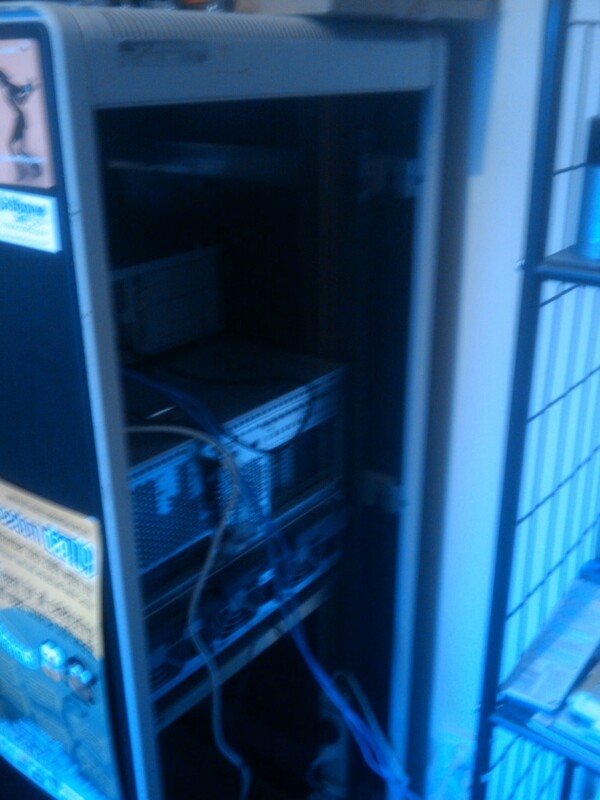 Yay, the smaller 22 RU rack has been collected, the larger one is still available. Do you still have the server racks? Do you have the dimensions of the “30 something RU” rack?